This article appeared in the February 2006 issue of The Profitable Dentist. You can download the sample brochure to get started. If you’re looking for a cost-effective way to bring quality patients into your practice, then I’ve got good news for you. Dental Health Month is coming! If you get your ducks in a row, you can get 20 to 100 additional new patients this year. For most dentists, it’s like getting an additional two to three months worth of new patients. Dental Heath Month shoud be to Dentistry what Christmas is to Macy’s! You promote this as you would a public service. For example, October was National Breast Cancer Awareness Month. Many of you might have seen articles or newsletters about breast cancer. If you noticed, some physicians’ offices offer low cost or free mammograms. Do you think anyone thought they were bad guys for doing so? It’s great PR! It’s great for the public because they’re more aware of a health threat and it’s great for the physicians because it brings them patients. Many dentists have a problem with doing free exams, but keep in mind this promotion is talking about exams for friends of patients. You’re not mailing the public at large so the quality of a new patient is very high (good patients tend to know other good patients) and there are very few people who just take the free exam and run. And no, you will not get complaints of “How come I didn’t get a free exam?” from your existing patients. This promotion works very well in eight out of ten offices, and at least breaks even in the other two. If you just follow the program, it works! Don’t sit-around thinking of reasons why it won’t work because it does work, Try it! Ideally, flyers should go out in the last half of January, but don’t rely on the flyer alone. Just as Macy’s decorates stores, you need to decorate your office. Use a red and white motif (sort of like Valentine’s day without the hearts). Get a banner from an of office supply store that says, “It’s Dental Health Month!” Make it festive! The purpose of these decorations is to generate interest from patients so they ask, “What’s going on?” Then your staff can say, “Dental Heath Month is coming as you can see by all the decorations around here, We feel it’s the best time of the year because that’s when Dr. Good Guy donates his time to do free exams for friends and relatives of our patients. So, if you know someone who’s been putting off going to the dentist, now they don’t have any more excuses. It doesn’t cost them anything. It’s quick. lt’s painless and they’ll finally get that checkup they’ve been putting off. So please help us spread the word. The emphasis is on helping other people (versus people helping you). You’re not begging for referrals, you’re offering to help, and that makes all the difference. By running the promotion in this way you can have fun with it. Make it your mission. In the unlikely event you don’t see a significant inflow in new patients, you will still feel very good about what you did. If you want to get more aggressive, you can build on this by advertising in the local newspaper. This works better in small towns where an ad in the paper is more focused on your market and therefore, more cost effective. The beauty of this kind of promotion is that it’s perennially renewable. If you get it working in your office, it’s something that will work for you every year. I work with several practices that have been doing this several years now, and they routinely pick up an extra two or three months’ worth of new patients each year by doing the promotion. lt gets your year off to a very nice start. There are other variations on the theme, too. One client did not want to give away free lunches but he had a list of charities to which he would donate $20 in the referring patient’s name. Brainstorm with your staff. They’ll be more enthusiastic if they are allowed to be creative. Put one person in charge to see everything through. Maybe you’ll have a tooth fairy coloring contest for kids. Maybe you’ll call your local church or community agency and offer to do the dentistry for someone in need. Participate in “Dentists With a Heart” day. Put together a dental gift basket (toothpaste, floss, toothbrushes, sugarless gum and your card). Distribute the baskets to your business neighbors. While doing so. encourage them to come over for their Dental Health Month Checkup. At the very least you’ll be introducing yourselves in a positive way. People can’t begin to choose you unless they know you exist. With a little imagination, you can think of lots of good approaches and, if The Profitable Dentist readership tries this out, I’m confident by next year we will have more ways to make it work. Technically, it’s “Children’s Dental Health Month,” but why not make it Dental Health Month for everyone at your office! 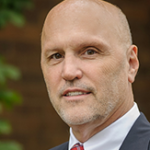 Bill Rossi is the President of Advanced Practice Management, a consultancy based in Edina, Minnesota. He can be reached by writing Advanced Practice Management, Suite 240, 7101 York Avenue South, Edina, MN 55435-4400, (952) 92l-3360. Updated reprint with permission granted by Farran Media, LLC. Please visit us online at dentaltown.com.